Looking For A Quiz Tonight ? Quizalot was founded in 1996 and has focussed on the production and delivery of entertaining, accessible, fun, professional quiz events. We don’t do anything else. Each of our quizzes is written on the day of delivery to be relevant, informed and current. 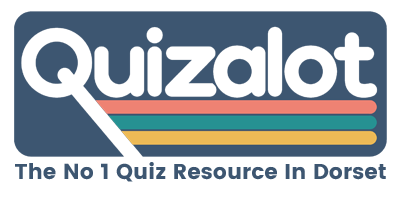 We support and encourage ALL the quizzes in Dorset via this website and our reviewing activities. Expect to see “The QUIZALOT Knights” at a quiz near you soon. At QUIZALOT we give our time to support the work of local and national charities through fundraising events alongside our regular Pub Quizzes. If you would like to know more about what we do then feel free to call us on (01202) 798742 or look for us on the www or social media.The word “QUIZALOT” should get you where you want to go. Don’t look during one of our events though. Your phone should be in a ©GoogleBustingBin. Chiefly British . an eccentric, often odd-looking person. to question closely:The police quizzed several suspects. Chiefly British . to make fun of; ridicule; mock; chaff. informal social gathering at which participants compete in tests of knowledge and intelligence for prestige and prizes.